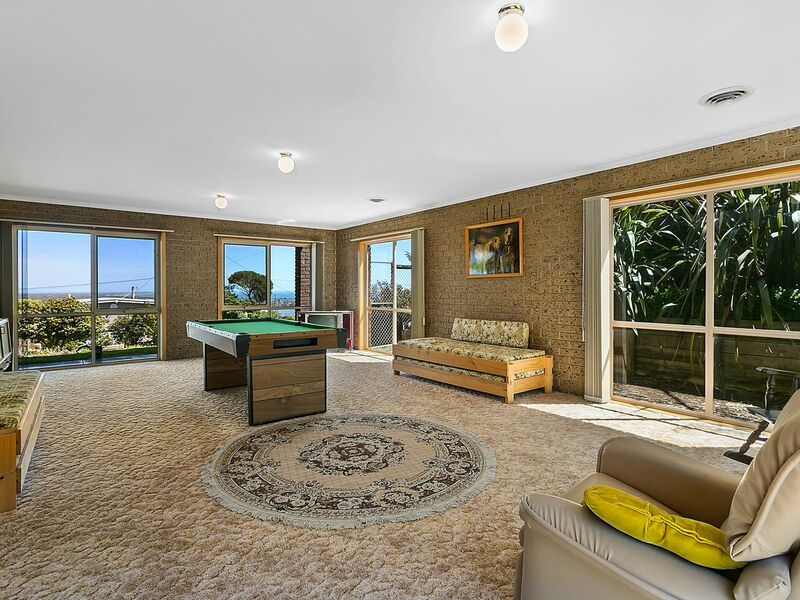 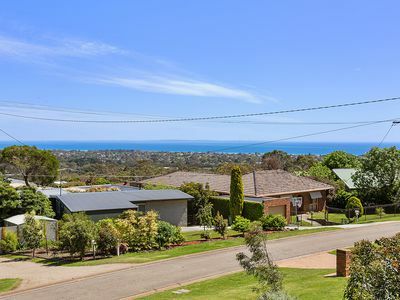 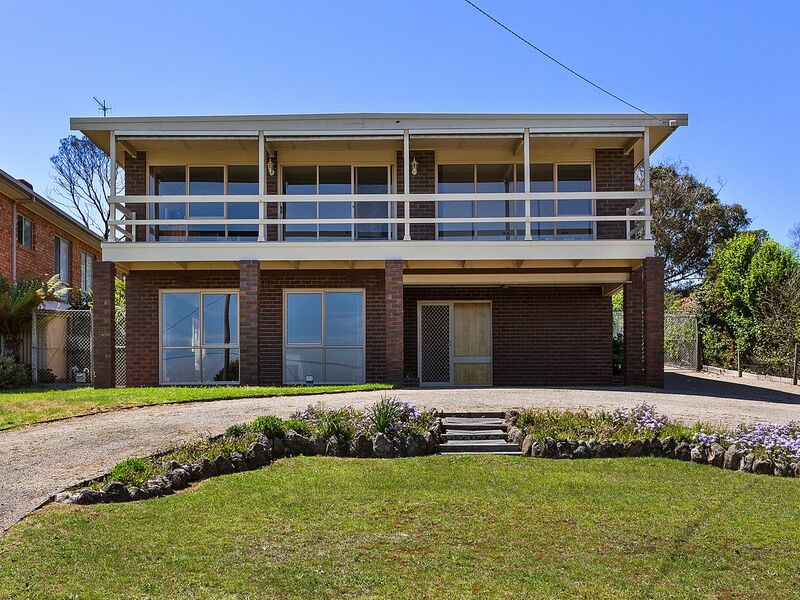 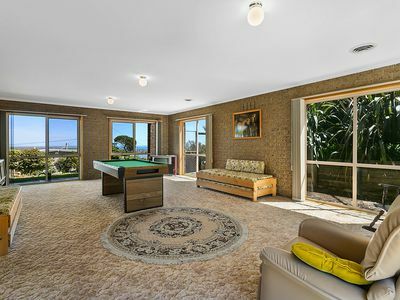 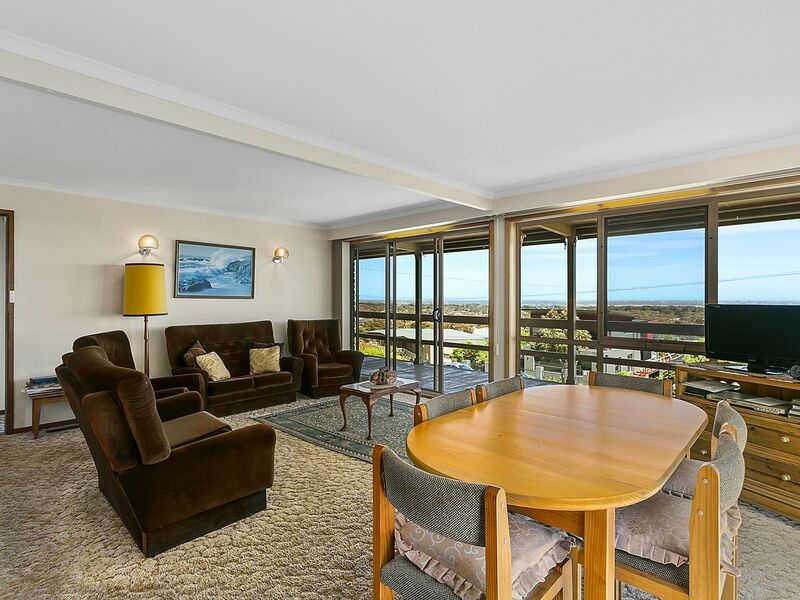 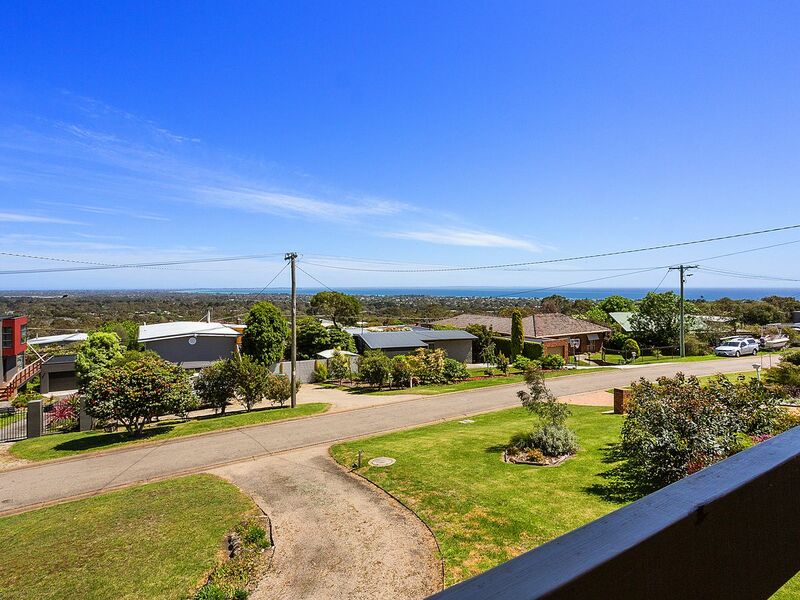 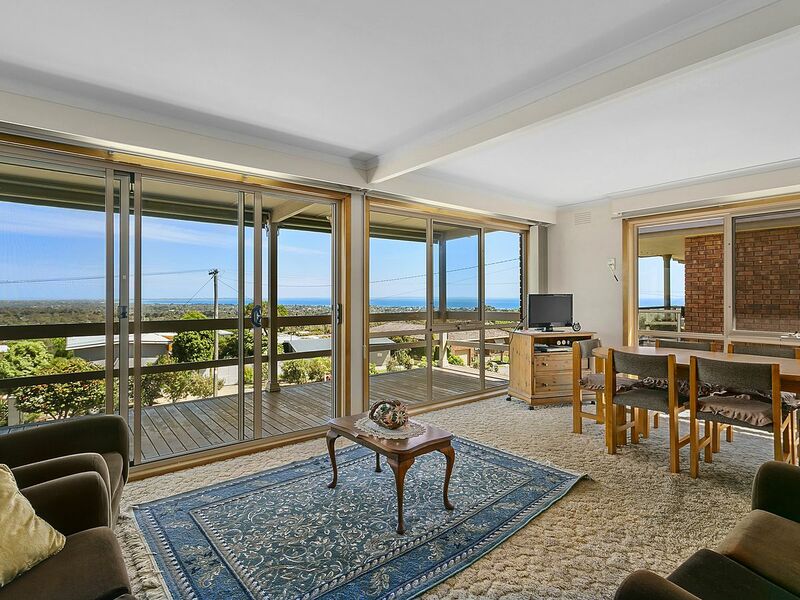 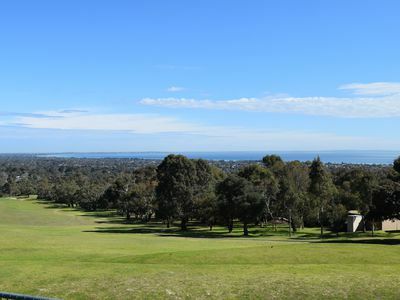 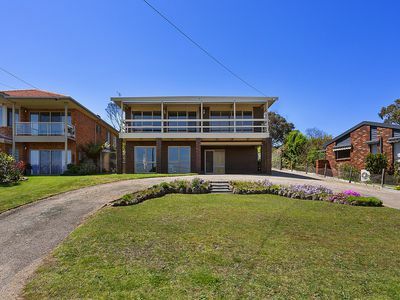 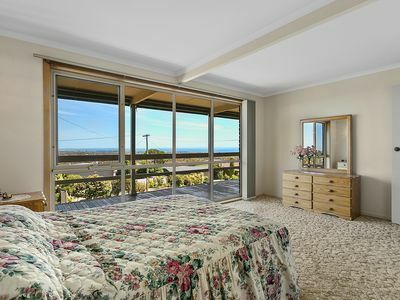 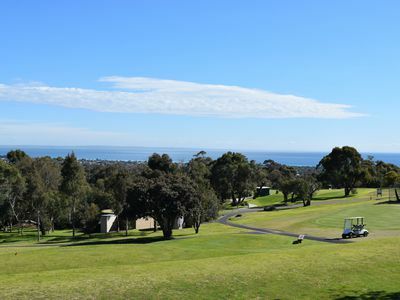 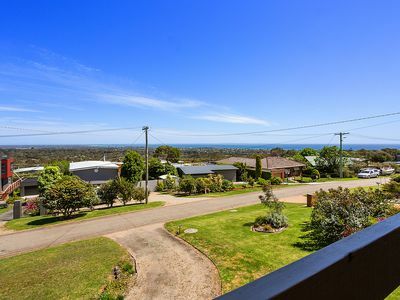 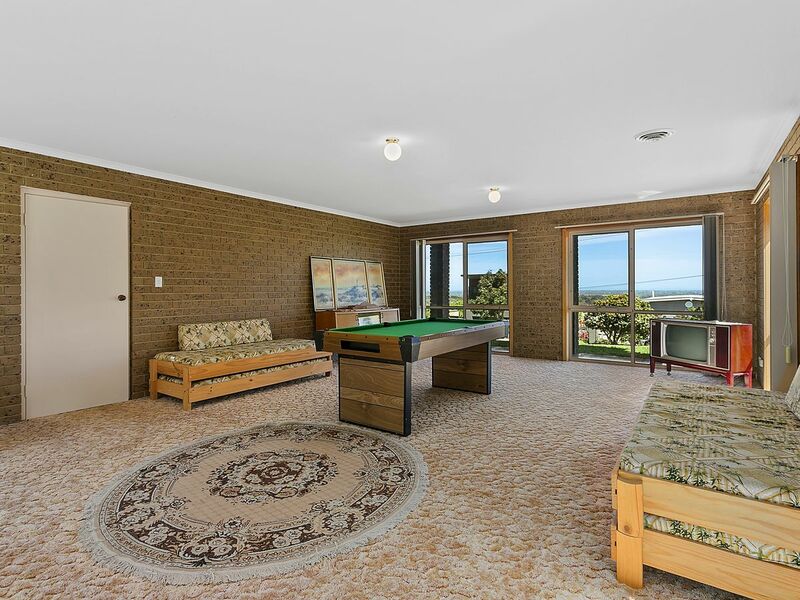 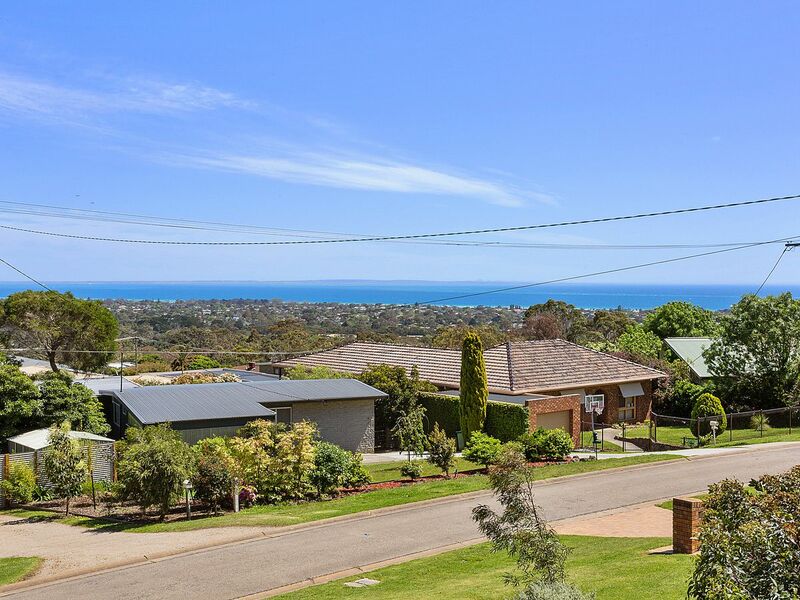 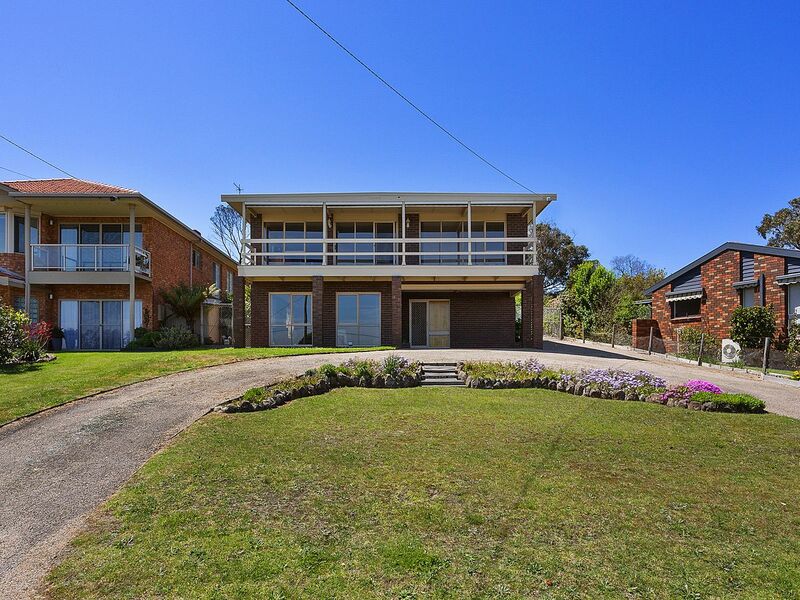 Situated high on the exclusive Carrington Hill precinct offering amazing visuals scanning from Bass Strait to the Southern tip of the Peninnisula and further more the wide expanse of Port Phillip bay, if big blue views are what looking for the search is over. The property is neat as a pin and ready to be cosmetically improved or you can move straight in or rent it straight out. 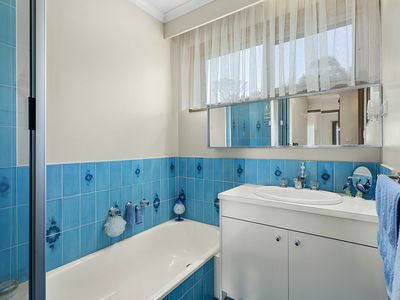 Accommodation consists of 3 robed bedrooms upstairs serviced by a central bathroom with shower and separate bath, the main bedroom is super generous and offers big views even from the pillow. The kitchen joins the lounge and dining enjoying access to a wide balcony perfect for entertaining and for lovers of a Sun set you will not find much better any where on the Coast. 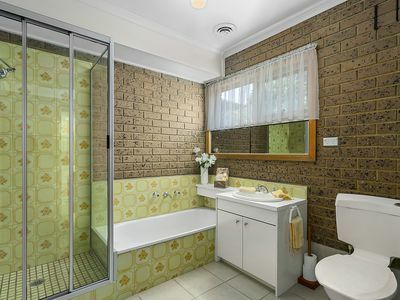 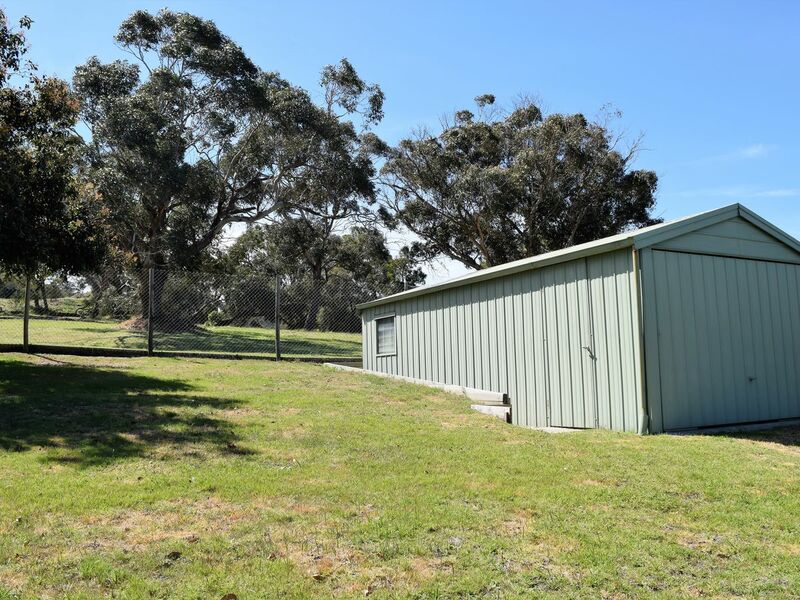 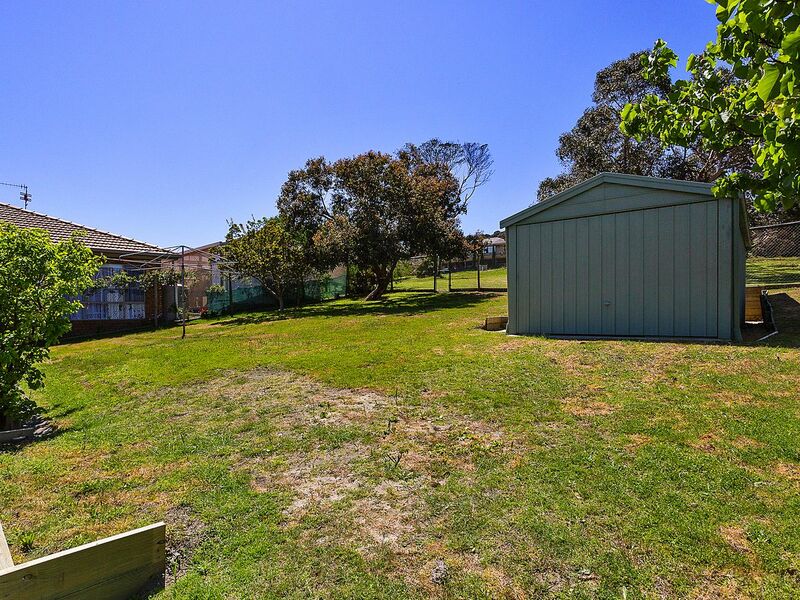 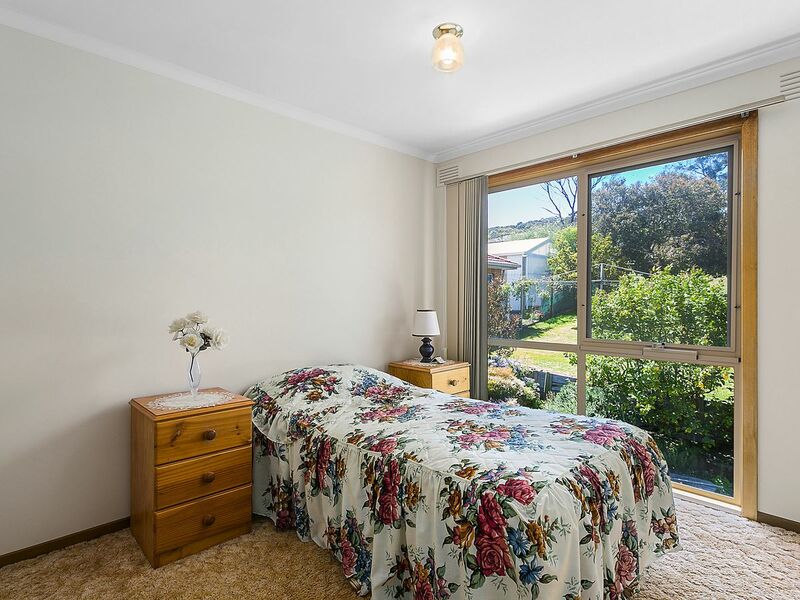 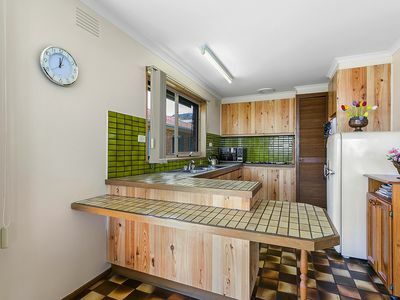 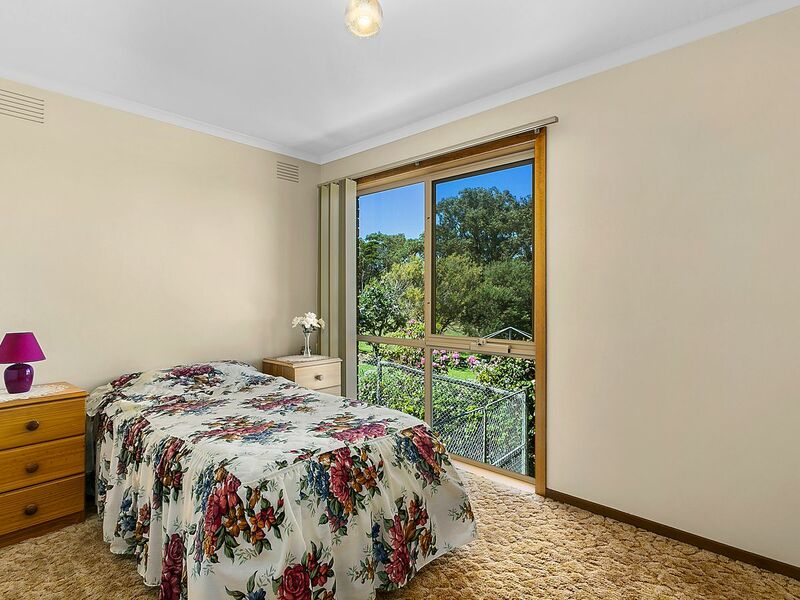 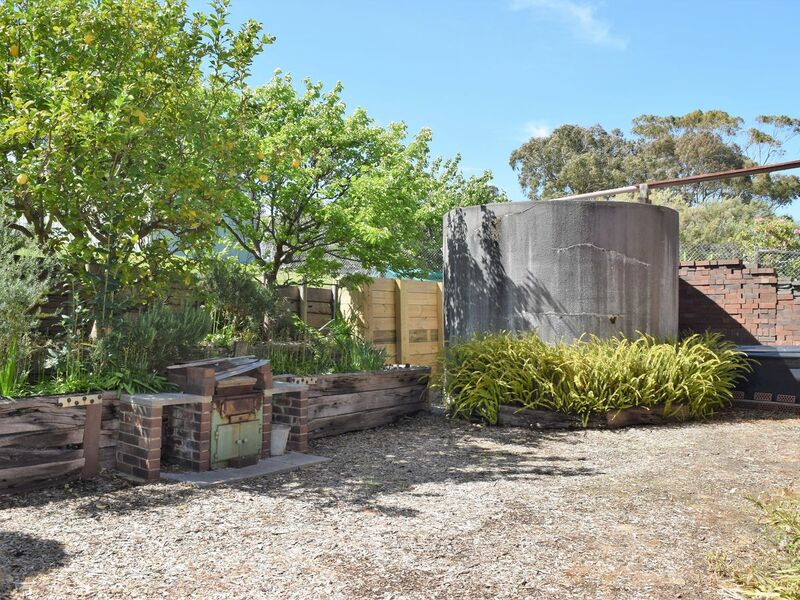 The lower level consists of a super huge rumpus or games room that could easily convert into another bedroom or two and serviced by another bathroom with separate bath and shower, laundry and direct access to the yard that backs onto the Arthurs Seat State park. 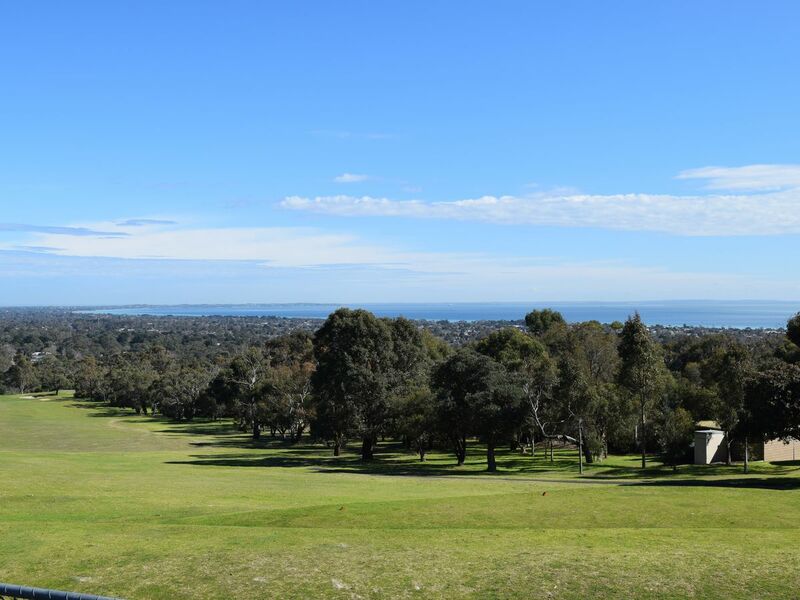 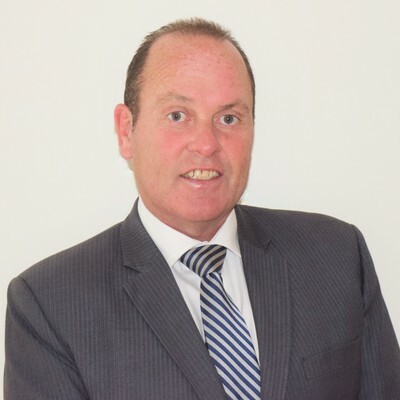 Shopping via the Waterfall Gully hub is only minutes away, the Bay views Golf Club is even less and Peninsula link, wineries,Rosebud Tennis club and ultimately the beach and waters edge are just a few more so the convenience box is already ticked. 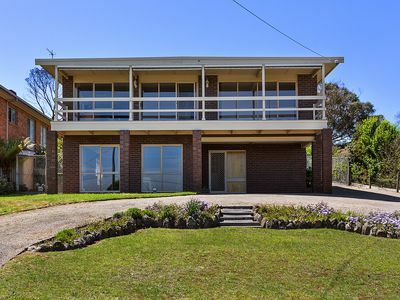 Highly suited as a holiday home or rental and for those looking for a sea change or a renovation project there is no need to look any further.